This strain can be found on the skin of many people. You may even have it on you, right now at this very moment! But don’t freak out yet – just because it’s there doesn’t mean you’ll get an infection. Here’s what to know about staph and how to prevent it. Staph on the surface of the skin may not cause any symptoms and may be harmless to a healthy carrier. However, once it enters the body, problems start. Symptoms of infection can be a red area on the skin that may resemble a spider bite, pimple, boil or abscess (go ahead and click here if you really want to see – just be warned; there’s a reason I gave you a link instead of just a picture). A more serious infection may result in red areas on the skin that are painful and hot to the touch, as well as fever, chills, muscle aches, rash, headache or fatigue. Staph can live for hours on surfaces and thrives in warm moist environments (think locker rooms, mats, sweaty gym equipment). This makes is an especially prevalent condition among athletes, martial artists, and anyone who works out in a fitness center with communal equipment. Just imagine how many people's sweaty butts and backs have touched this stuff. And how many of them didn't wipe it off. 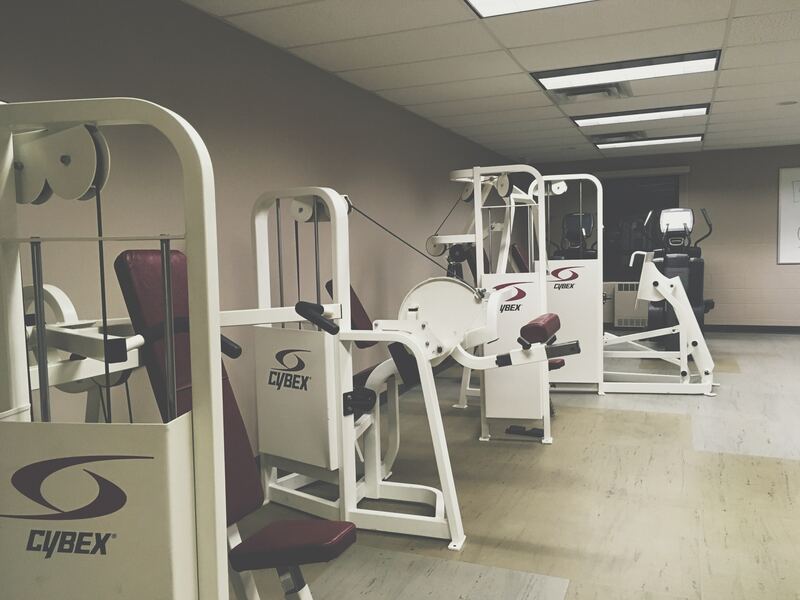 Staph can be transmitted through fitness equipment when you touch or use equipment that was handled by someone who had staph. It can also be transmitted via wet towels, shower floors, or on exercise mats. Staph can enter the body through a cut or wound on the skin or through the respiratory system. Minor staph infections on the skin can be treated with topical antibiotics. Infections that are unlikely to respond to topical antibiotics may be treated with oral antibiotics. More serious forms of the infection may require intravenous antibiotics, incision, surgery or even amputation. As with any disease or infection, complications can arise. Delaying treatment of a minor staph infection can cause the infection to spread from just beneath the surface of the skin to deeper tissues. When this happens, the infection can turn into a more serious condition called cellulitis. Individuals with compromised immune systems, circulatory problems or diabetes may be more susceptible to developing cellulitis. Oral and intravenous antibiotics may be administered to get the infection under control. Cellulitis can spread very quickly in some situations and may require hospitalization. The most serious infections are caused by methicillin-resistant Staphylococcus aureus, commonly known as MRSA. This type of bacteria is resistant to antibiotics and can quickly spread throughout the body, damaging organs, muscles and other parts of the body. Severe cases can result in loss of limbs or even death if it enters the bloodstream or destroys vital organs. That’s the bad news about staph infections. The good news is that with simple preventative steps, you can ward off most infections. Cover cuts, wounds and abrasions. 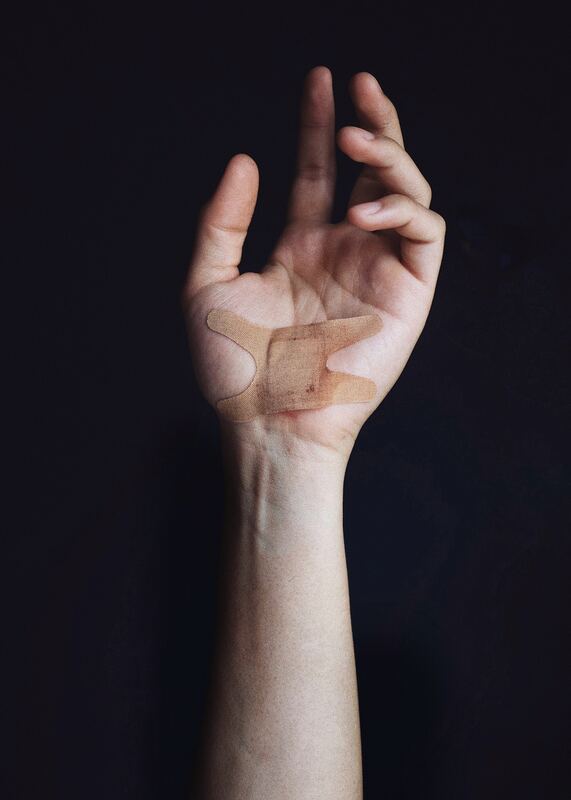 Any opening on your skin should be covered with bandages until they are completely healed. As long as the bandage stays on, you're good. Maybe give your hands an extra wash after, though. Wipe equipment before and after each use. Use a disinfectant or sanitizing wipe to wipe down the equipment before using it. Wipe seats and benches before sitting. Sharing is not caring. Don’t use communal towels, (bar) soap, or clothing at the gym. Also, if you bring a towel to wipe away personal perspiration, avoid setting it on exercise equipment. Wear shoes in the shower. If you take a shower at the gym, wear shower shoes or flip flops and take your own washcloth and towel. Avoid touching areas of your face. Avoid touching areas of your face like your nose, eyes and mouth when using equipment. Wiping sweat away from your nose with your hand after handling staph-laden equipment could cause a staph infection of the respiratory tract. Take your own mat. If your workout involves use of a mat, take your own to ensure that it is sanitary and clean it after each use. Hopefully these ladies all believe in B.Y.O.M. -- bring your own mat! If you think that you have a staph infection or staph infection symptoms, seek care from a physician as soon as possible. While some minor staph infections in healthy individuals can sometimes resolve on their own, some can lead to more serious conditions and can even become life-threatening. Whether you’re a martial artist or take cardio boxing or kickboxing classes, one of the key pieces of gear you need to keep clean is your gloves. Sweat, gunk and funky odors – and yes, bacteria like staph – can built up inside them without proper maintenance. Want an easy, effective and fashionable way to keep your gloves fresh? Strive Boxing Gloves are machine washable and dryer-safe, so you can just toss them in the washer with the rest of your gym clothes.